Home / book review / books. / interior design. / Interior Design books ....My Weakness. Interior Design books ....My Weakness. When was the last time you bought a good coffee table book? I feel like I'm ALWAYS BUYING one or two books month. Whether they are old or new releases...I buy them. It's one of my weaknesses, what can I say? Below are a few I purchased this month. The title of this book alone.... stretched across the page drew me in! 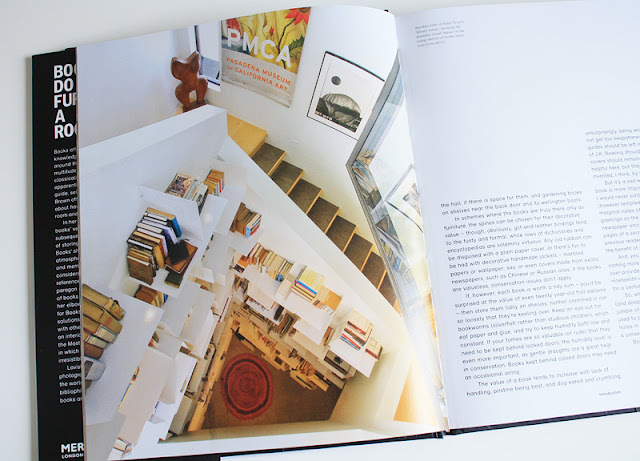 This book reveals how books can enhance the look & atmosphere of any home. It talks about different ways of arranging as well as stylish storage & lighting solutions. My favorite part was the tips it provided on how to combine books with other objects in the home - giving it some added interest! with foreword by Michael Kors. And to my surprise, look what was peeking under the Glamorous Rooms jacket cover !! Don't you just love this faux leopard print? Very CHIC! I'm still WAITING for the arrival of 3 or 4 more books. They really put me in a good mood and of course I love to share these titles with all of you! If you're shopping for coffee table books, I'd definitely recommend either of these. Are you fascinated with books too? Do you have any of these? 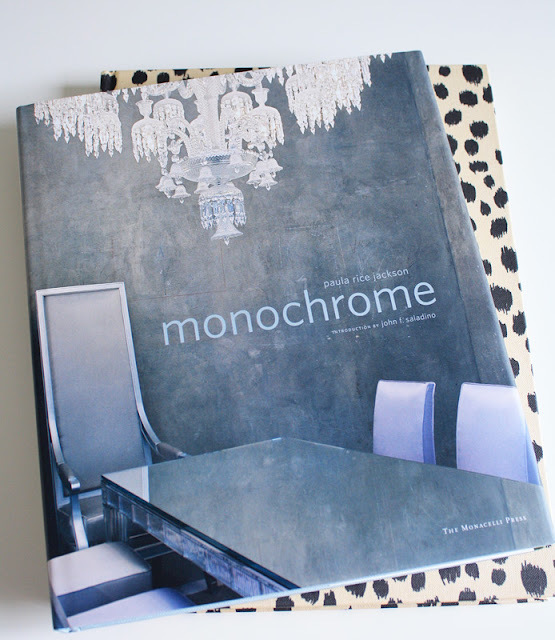 I'm a real SUCKER for interior design books, especially if it has an appealing photo on the cover! 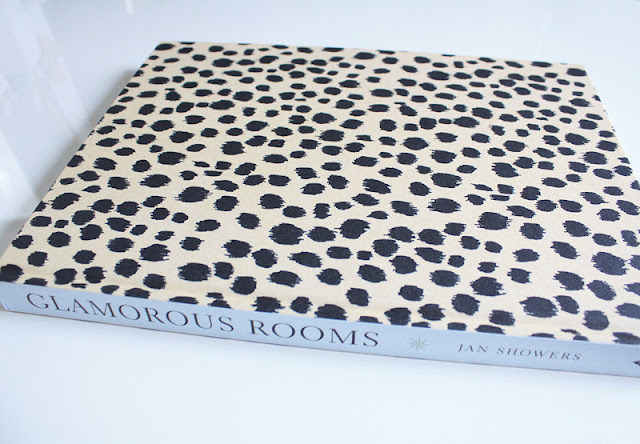 The Glamorous Rooms cover really did it for me, I had to get it for my collection! Oooh I need one! :-0 Will chk them out, thanks! Yes - they are just so costly! My newest purchase was "My French Life" by Vicki Archer. Pretty fabulous! Check it out! Yes, they can get a bit pricey. I have found that you can get used or new ones on Amazon for much cheaper though...than in bookstores. I have "My French Life" that's a fantastic book too! oxox! oh yes. it is my biggest weakness. i have tons of them. i need to get glamorous rooms..looks delicious! i agree with alaina My French Life is awesome. In fact, my favorite books are always french. Paris Interiors by Taschen ROCKS! 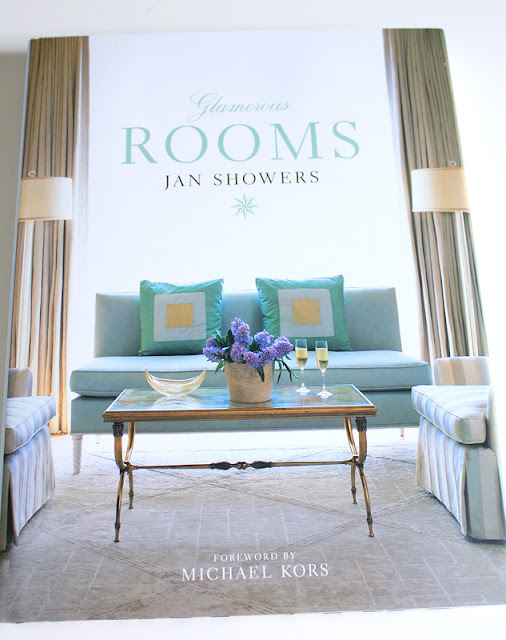 i have the glamourous homes book..love it. It's one of my weaknesses also....just can't help buying them! 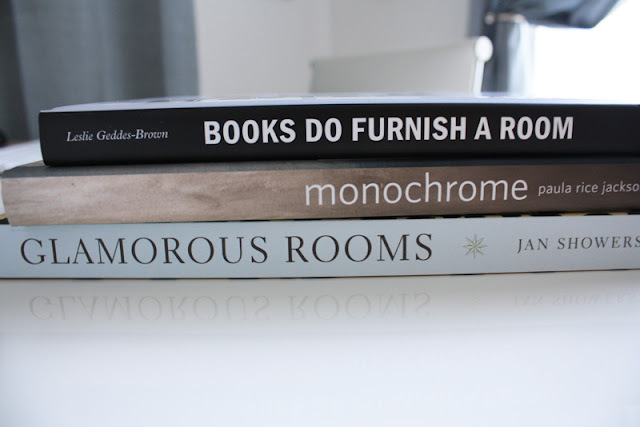 Books Do Furnish a Room is ON MY LIST!! Love it! OK, so clearly I am not alone in this moment of weakness!! I curently stack books on the top of an all too small freestanding bookcase, on the floor... I love 'em too, and just designed a new bookcase to be installed in my house, actually, it will be a libary wall. Pictures to come in a later blog entry, hope you will check it out someday. i love interior design books. i have a lists of books to buy and will have to add these to the list. thanks for sharing ^_^. Oh yes, my weakness too. Right now I'm loving and reference Downtown Chic by the team from Sixx Design. It's fantastic. I've heard rumor they're going to have a TV show on Bravo. 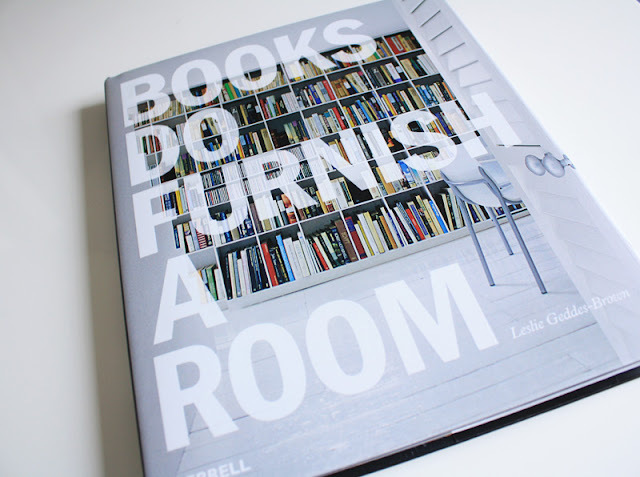 I almost bought 'books do furnish a room' last week! I love More is More by Hutton Wilkinson. It can be a little OTT. But shows some serious creative genius at work. Not to mention the forward is by John Galliano so you start of reading on a fabulous foot. I am getting the Jan Showers book today! I love that cover and agree they can get expensive, but you will have them forever. I collect interior design books and refer to them all the time. It's great to have resources right at your finger tips when you need them. Wonderful blog too! I'm terrible with design books - I lug tonnes of the things back from charity shops and TK Maxx and have them stacks to hip height in my hallway! But they're so pretty...! Oh, those books look awesome! And I don't even know that much about interior design, so they'd probably be extra helpful to me! My newest book and one of my faves is Pattern by Tricia Guild. It has beautiful photographs! that leopard cover is too much! and i am a big believer in the decorating impact of books — i'll have to check that one out! thanks for all the suggestions! I am obsessed with the library, where the books are free and don't clutter my life after I've read them! I can even check out books I've already read. Amazing. design books are definitely a big weakness for me as well. i'm not even sure how many i own... also, i just watned to let you know that i recently added you as a banner link over at urban flea. i'd love for you to swing by sometime and let me know what you think! hope you're having a wonderful week my dear! I will have to check out Amazon for those books! I use mine by creating a pile and standing my coffee on them - sacrilege? OMG!! I LOVE a design book. They, too, are my weakness!!!! Awesome. I like your style. Yes - they are just so costly! Books are too my weakness, could not control myself to see your lovely collections. New Prints from my Made By Girl shop !! My NEW home office.... finally complete !! Lonny Magazine....Look out for it! Renovation....DIY can be a pain in the neck. Food on Etsy? that's right! Always trying to learn more.. Looking to Remodel your Kitchen? ?